Where to find Dor hotels near an airport? Where can I find hotels in Dor that are near tourist attractions? 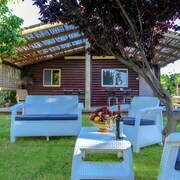 Are you planning to spend some time in Haifa? Hoping to find somewhere to stay in the Dor area? There are 5 Expedia-listed hotels within a 0.1-kilometre (0.06-mile) radius of the heart of town. 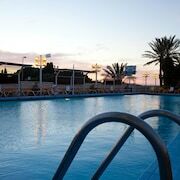 Those looking for a place to drop their bags close to downtown Dor won't find too many options other than the popular Kibbutz Dor Holiday Village. 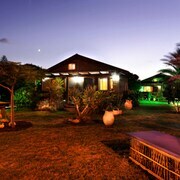 14 kilometres (9 miles) away from the heart of Dor, is the Carmel Forest Spa Resort. The Dan Caesarea can be found 12 kilometres (8 miles) away. 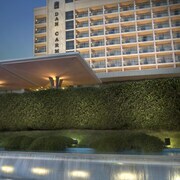 Another possibility is to book a room at the The Dan Carmel Hotel or the Leonardo Plaza Haifa. 25 kilometres (14 miles) from Dor you'll find Carmel Center, where you'll find Mane Katz Museum and Haifa Educational Zoo. 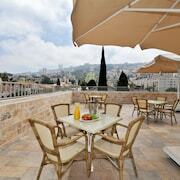 Carmel Center hotels include the Dan Panorama Haifa and Templers Boutique Hotel. 25 kilometres (15 miles) to the north of Dor, you can also stay at Downtown Haifa, home to the Villa Carmel Boutique Hotel and Crowne Plaza Haifa. The Chagall Artists House and Shkolnik Art are just a couple of the more popular points of interest to experience while in Downtown Haifa. If you enjoy sports and really like local games you might choose to make a trip to Teddy Stadium, which is 100 kilometres (61 miles) to the south of Dor. Sports fans wanting to find a bed near to the sporting action can select from the King David Jerusalem or the The David Citadel Hotel. If you are flying into or out of Haifa Airport and choose to stay nearby try Bay Club Hotel - An Atlas Boutique Hotel or Rothschild Mansion. 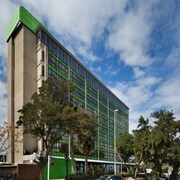 What are the most popular Dor hotels? 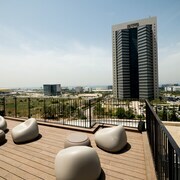 Are there hotels in other cities near Dor? 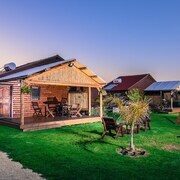 What other types of accommodations are available in Dor? Explore Dor with Expedia.ca’s Travel Guides to find the best flights, cars, holiday packages and more!